J.P.and Frances Campbell, Westport celebrated their 50th Wedding Anniversary at a party at the Wyatt Hotel. 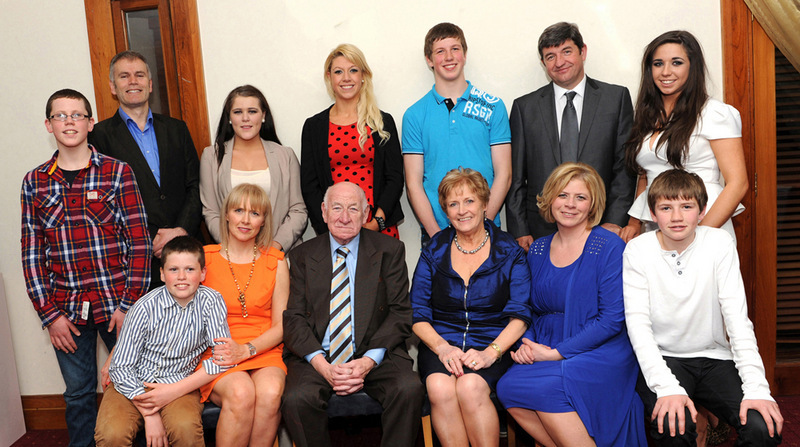 Front, left to right Owen Moore, Brenda Moore, J.P and Frances Campbell, Sharon and Brian O Malley; Back; left to right: Andrew, Des and Rachel Moore, Laoise, Conor, Brendan and Ciara O'Malley. Photo Tom Campbell.